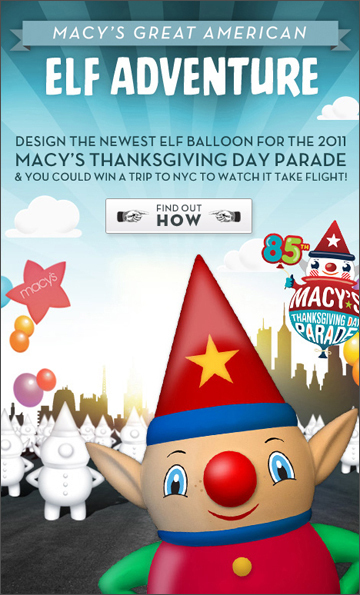 With the 2011 Macy’s Thanksgiving Parade a few months away, the department store is asking for its customers help in sprucing up the look of one of the giant elf-balloon featured in the parade. 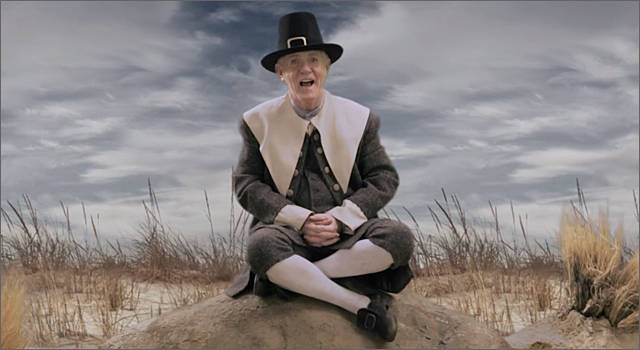 They’ve hidden 10,000 plain, undecorated elves at Macy’s stores across the US. Clues to the location of elves are posted daily on Macy’s Facebook page or Twitter account. Customers must then figure out the clue and find a sales associate and reveal the secret word to get their elf. The customer can choose to receive the clues by text if they prefer. Once the elves are decorated, customers can submit a picture of their elf along with its unique ID number. The voting will take place between August 30 and September 8. The winner gets a trip for four to NYC for the Thanksgiving parade where they’ll see their design transformed into a giant elf balloon just in time for the parade. The Macy’s Day Parade began in 1924 and is broadcast to 44 million people each year.